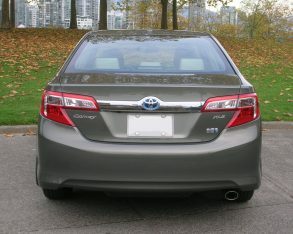 North America’s hard-fought midsize sedan market pretty much since the day it entered the segment with the wide-body XV10 series back in 1991. 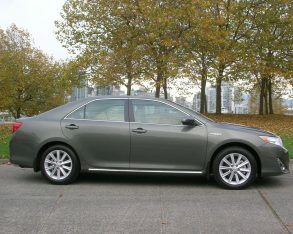 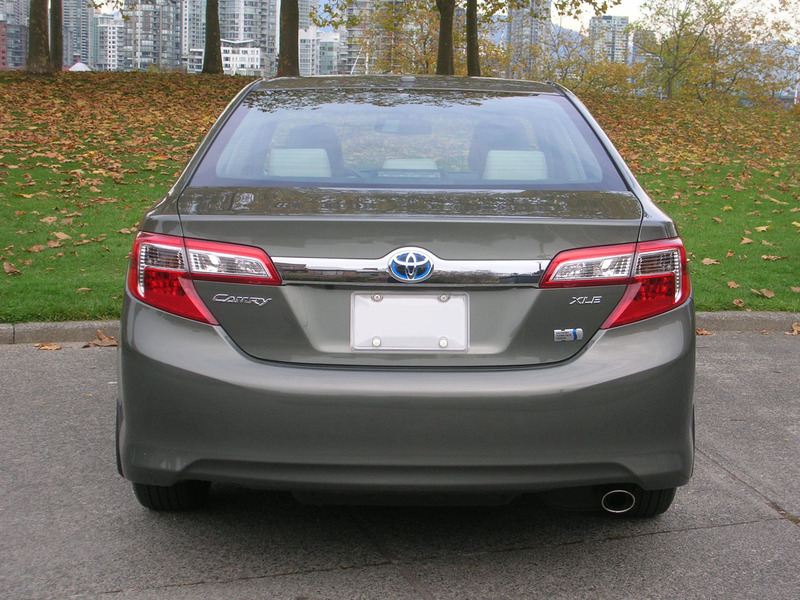 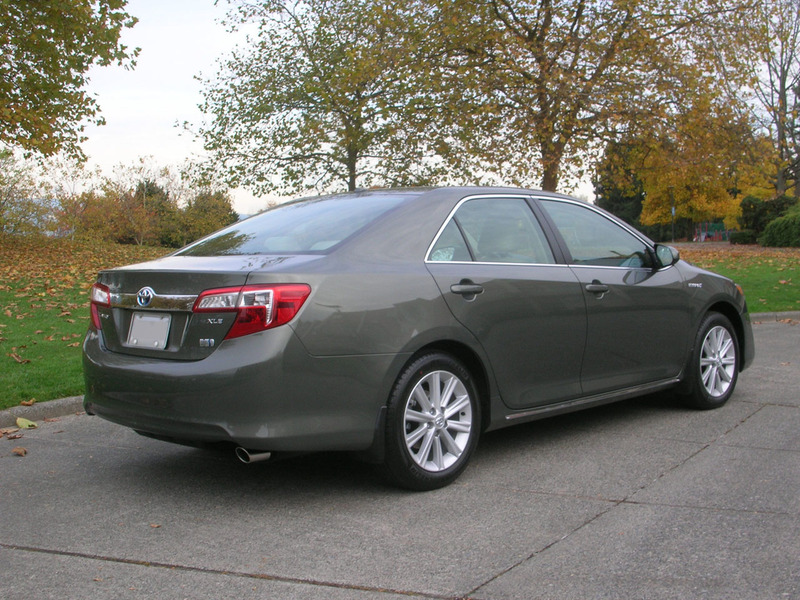 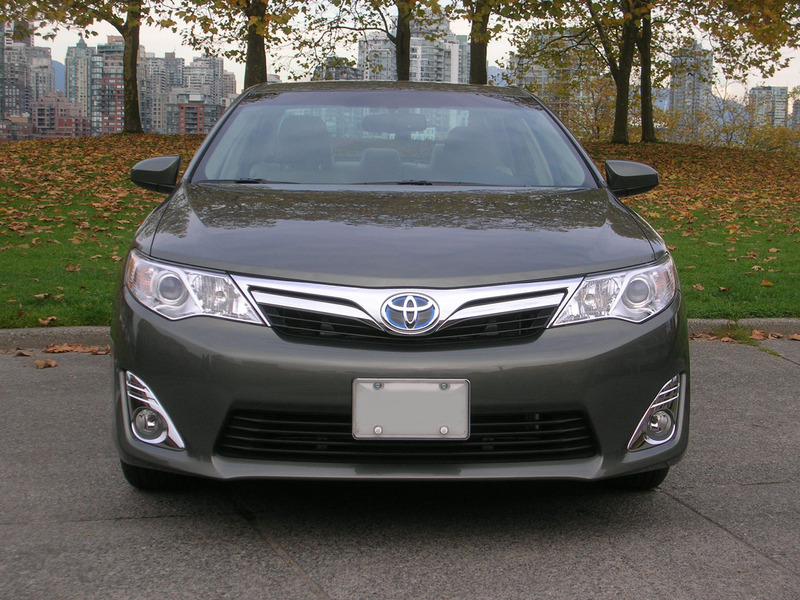 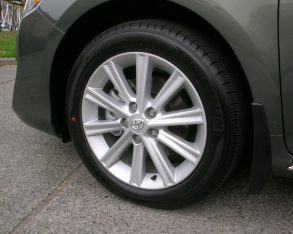 Success doesn’t always garner goodwill, however, and despite being the most popular car in North America for the past 11 years the Camry hasn’t always been the best-loved, instead acquiring a reputation for being practical and reliable, but loathsomely bland; the minivan of family sedans, if you will. 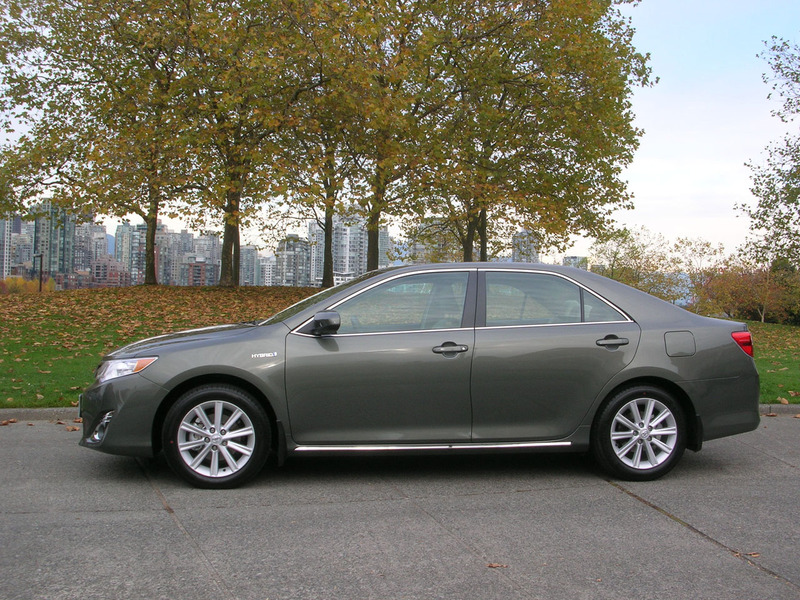 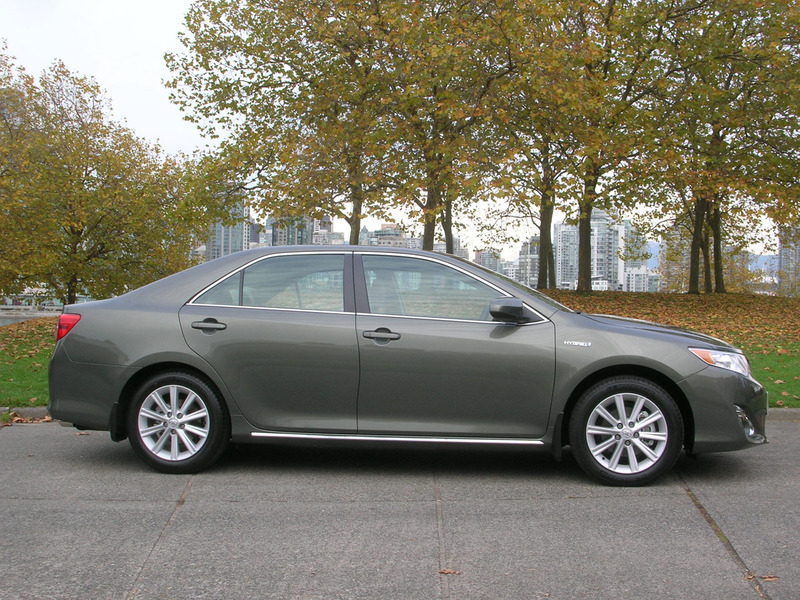 right is that Toyota has seen little need to change the car since, and so aside from a few tweaks to the equipment list the 2014 Camry Hybrid XLE I tested is essentially the same as the version you could buy in 2012. 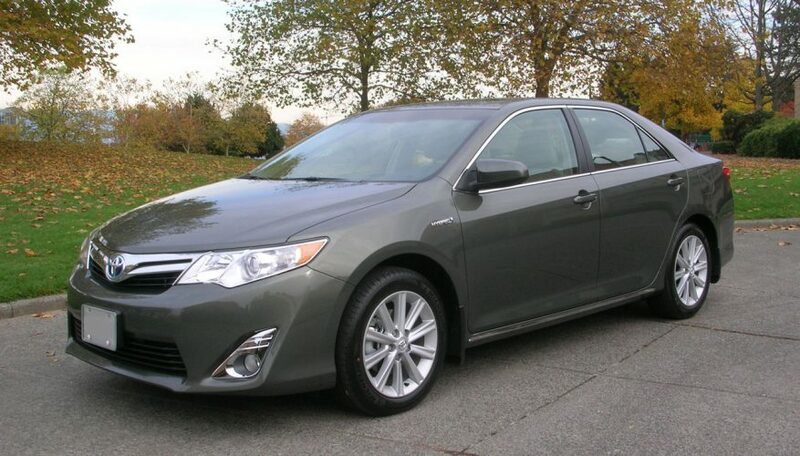 That’s a good thing, because it means the Camry Hybrid XLE continues to be a genuinely pleasant place to spend time, offering a relaxed, comfortable, and serene driving experience together with competent handling and excellent fuel economy. Mechanically, the Camry Hybrid swaps the conventionally powered Camry’s 178 horsepower 2.5-litre four-cylinder engine (or optional 268 horsepower V6) for a 156 horsepower 2.5-litre Atkinson-cycle four-cylinder engine paired with an electric traction motor and CVT transmission to produce a net total of 200 horsepower. that again carefully, then take a quick glance at the Camry’s fuel consumption ratings and you’ll realize that the Hybrid has two advantages over the conventionally powered Camry: First, as expected, it’s more efficient. Second, and perhaps less expected it’s more powerful. 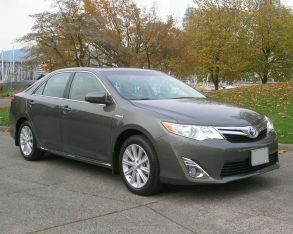 Plenty more powerful, because while on paper 200 horsepower already looks better than 178 horsepower, when 44 of those 200 horses are high-torque electric Clydesdales, you get some serious grunt off the line: the Camry Hybrid can launch from standstill to 100 km/h in about 7.8 seconds flat. 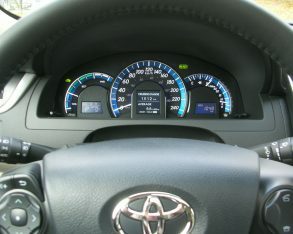 with the test car’s 6.6 L/100km long-term average. 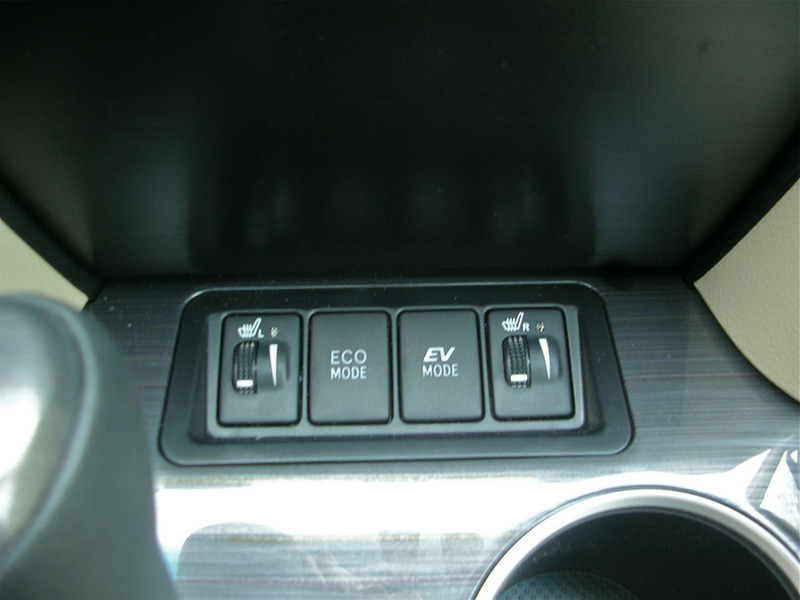 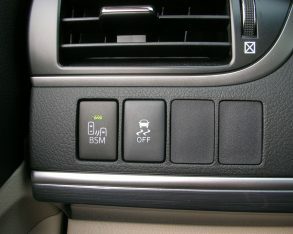 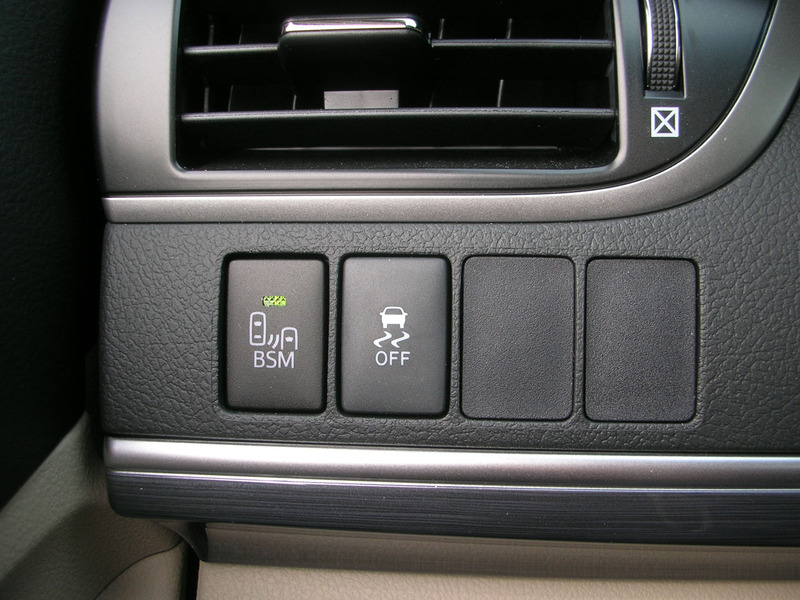 A button on the console allows you to select Eco mode for even more efficient driving (in practice this means driving with a dulled, sluggish-feeling throttle response) and you can also force the car into EV (electric only) mode when there’s sufficient battery power (this only works for short runs at low speeds). 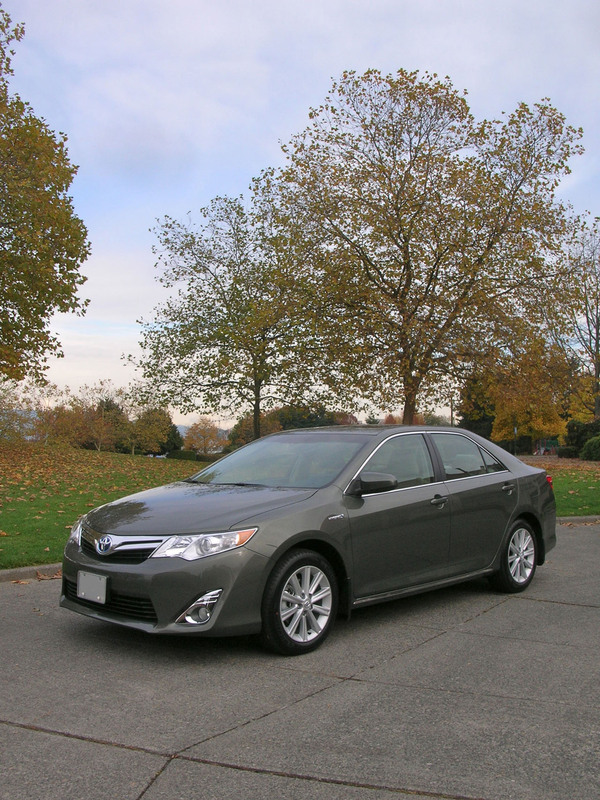 Beyond that, driving the Camry Hybrid feels little different from driving a conventionally powered Camry. 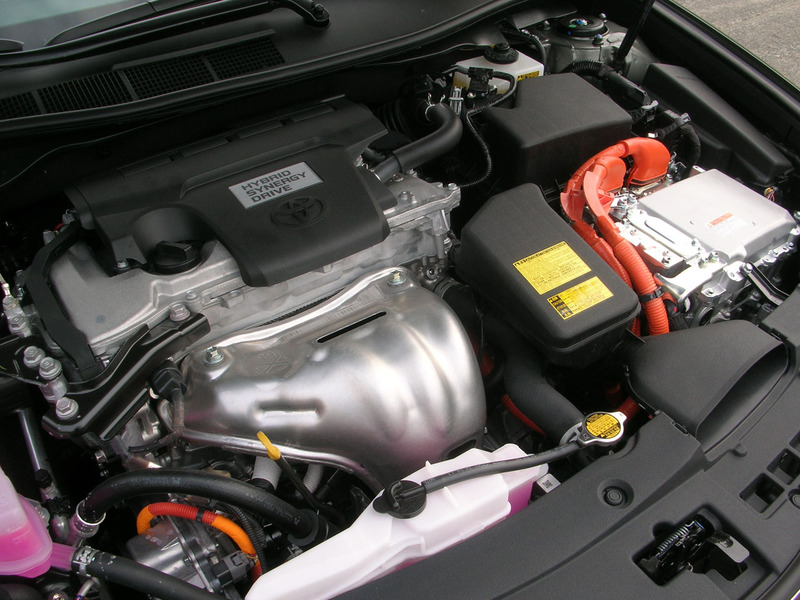 Toyota has vast experience building hybrid cars and it shows in the seamless transitions between electric and gasoline power, and in the natural-feeling regenerative brakes. 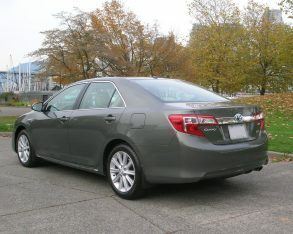 and refined ride. 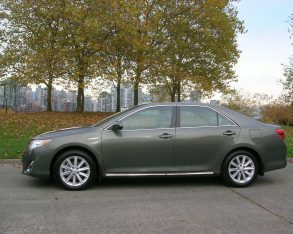 In practice the Camry is still no Lexus IS 250 in the corners, but it handles with reasonable panache just the same. 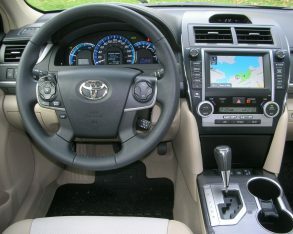 The electrically assisted power steering is precise and predictable, if perhaps a little numb, and the Hybrid’s road manners are really quite excellent on the highway and during normal cornering. I did note that when pushed hard in damp weather the all-season tires (P215/55R17 Michelin Primacy MXV4s) and front-drive setup conspired to dish out fairly abundant understeer, but nothing unexpected or alarming. 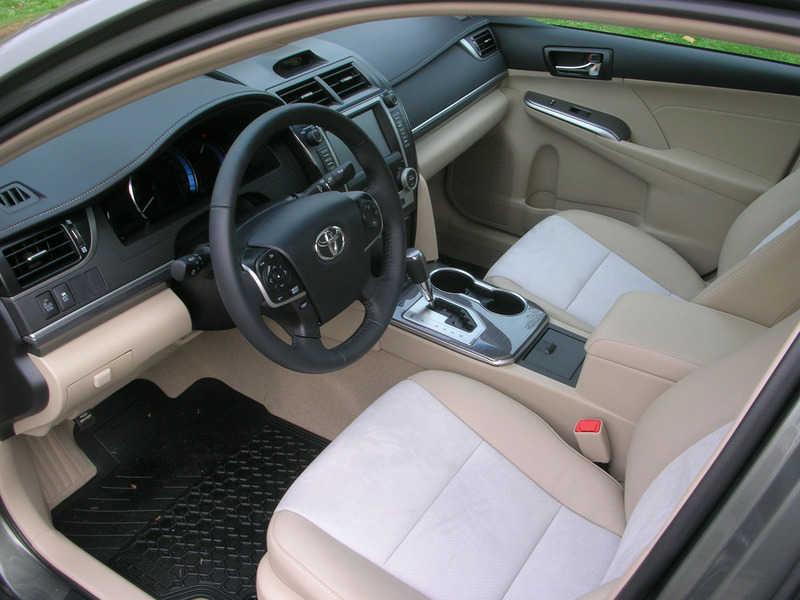 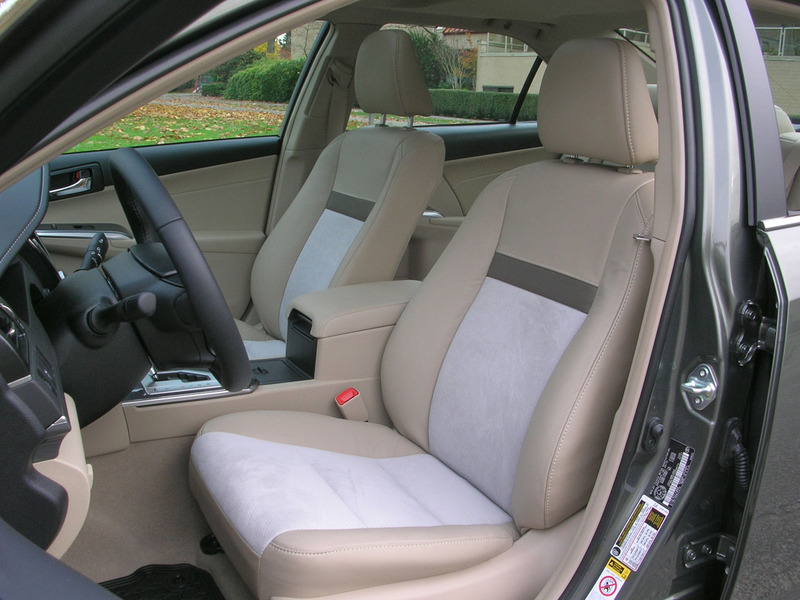 Inside, the Camry Hybrid XLE is exceptionally quiet thanks to the hybrid drivetrain and acoustic glass, and it’s fitted out to a level that would have been considered entry-level luxury just a few short years ago. 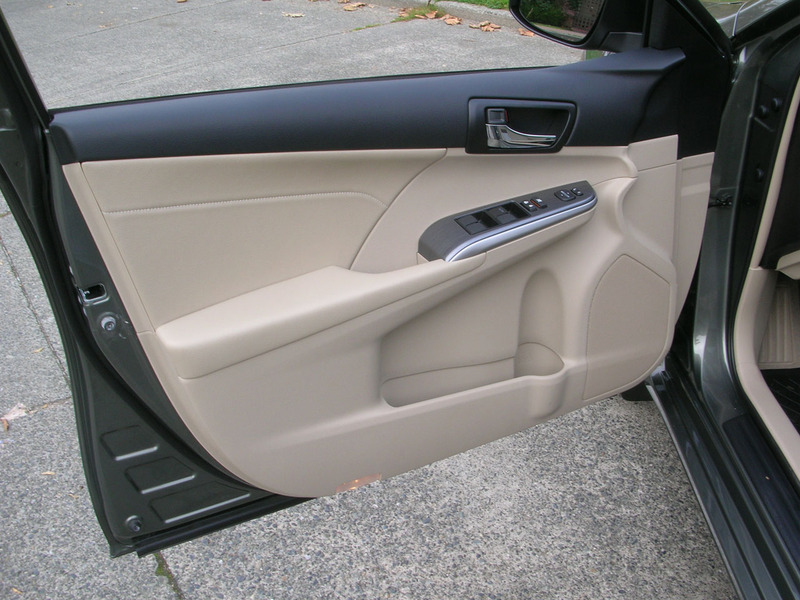 The door uppers are soft-skinned, the stitched leather-look upper dash panel is all soft-touch, and there’s an interesting brushed-look gloss grey trim scattered tastefully about. 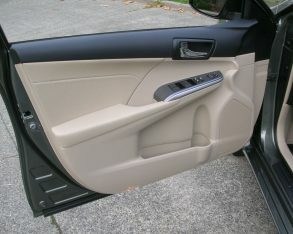 Rigid plastic is used for the centre console and door lowers, as expected, but it’s decent-looking stuff. 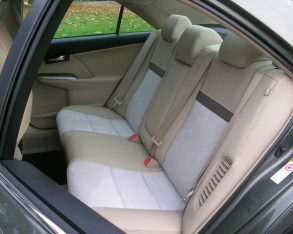 seats in my Hybrid XLE test car were very smart-looking, with tri-colour leather and faux suede upholstery that’s comfortable and not too slippery, and there’s certainly a lot of interior space not only up front, but also in the back seats and the trunk (the latter will hold 370 litres of luggage, which is a little less than a regular Camry because the motive battery is mounted back there). 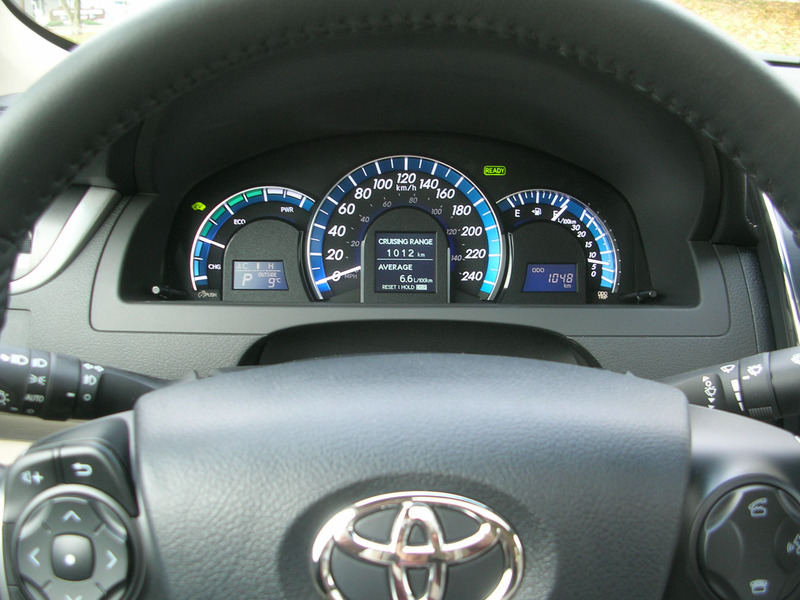 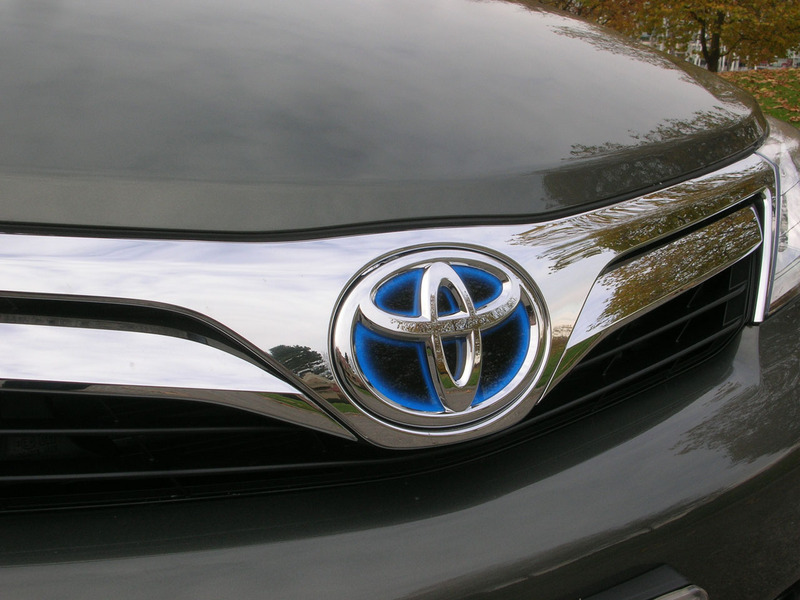 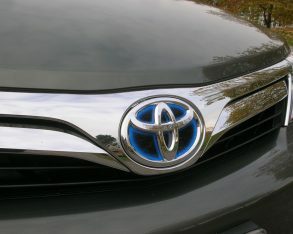 The Hybrid also gets a model-specific instrument pod featuring nice looking metallic blue gauge scales that pick up on the Camry Hybrid’s unique blue accented exterior model badging. 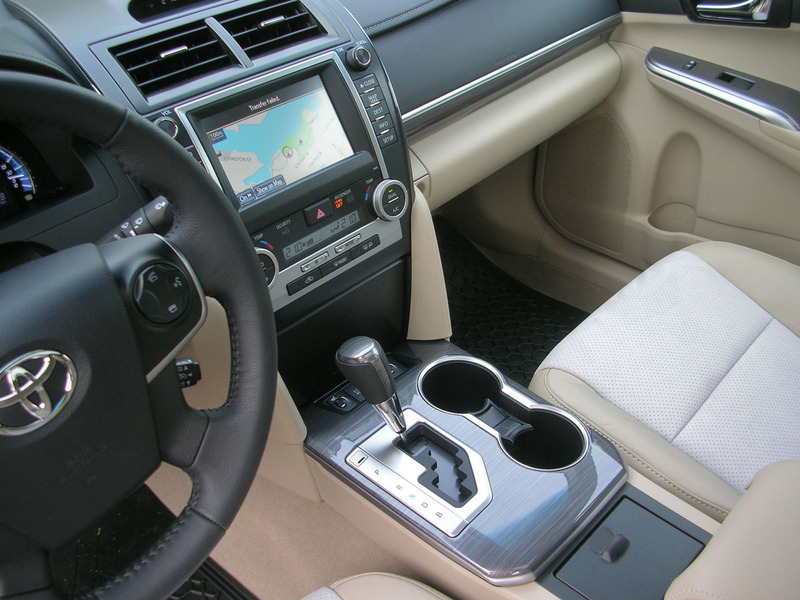 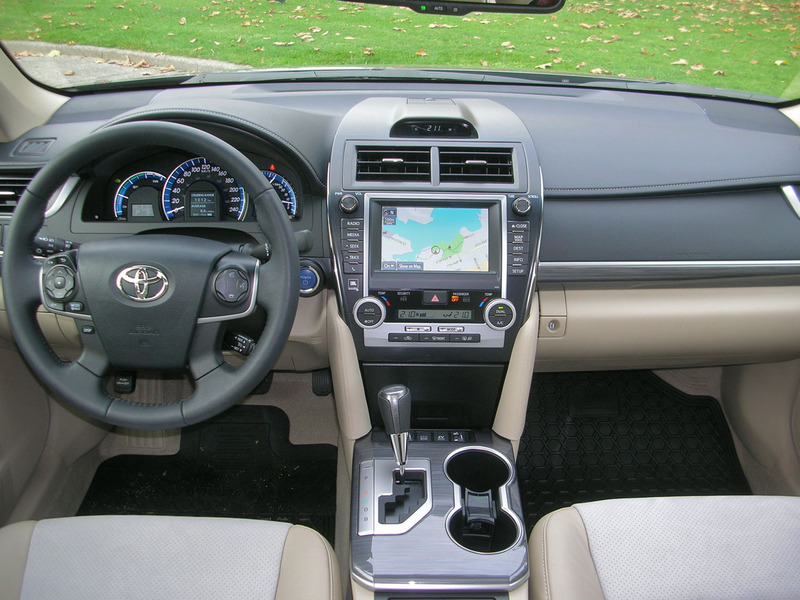 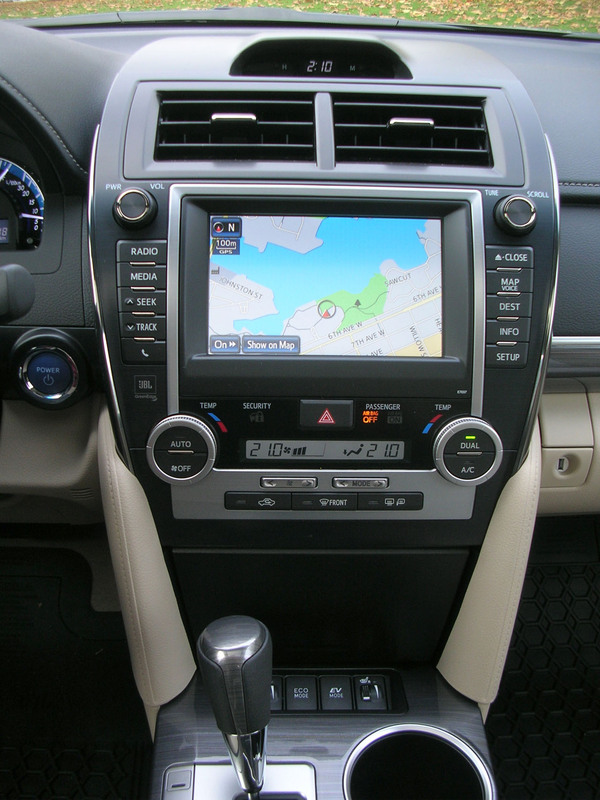 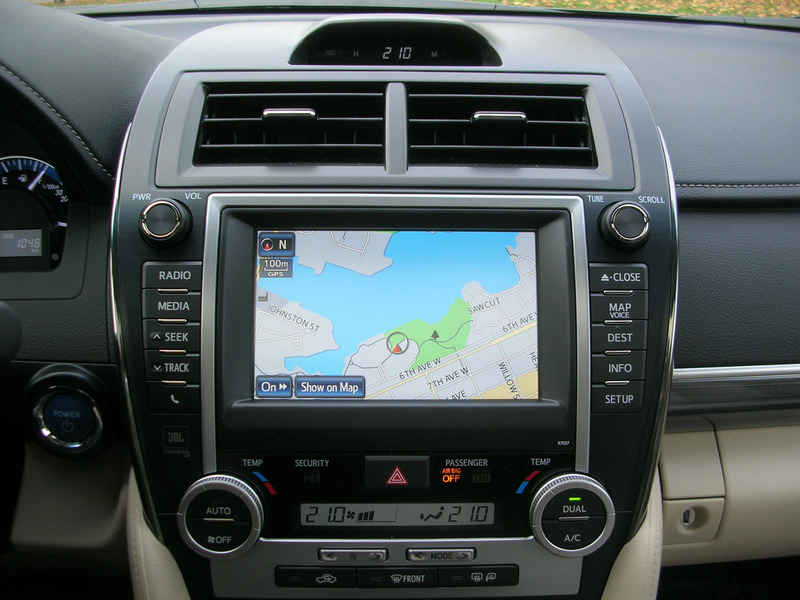 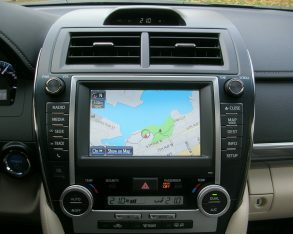 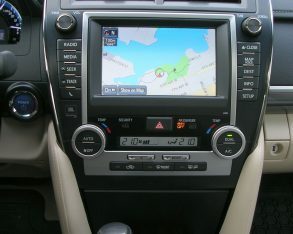 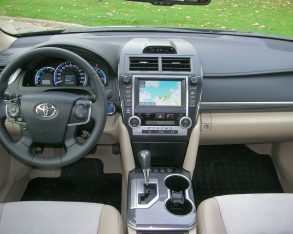 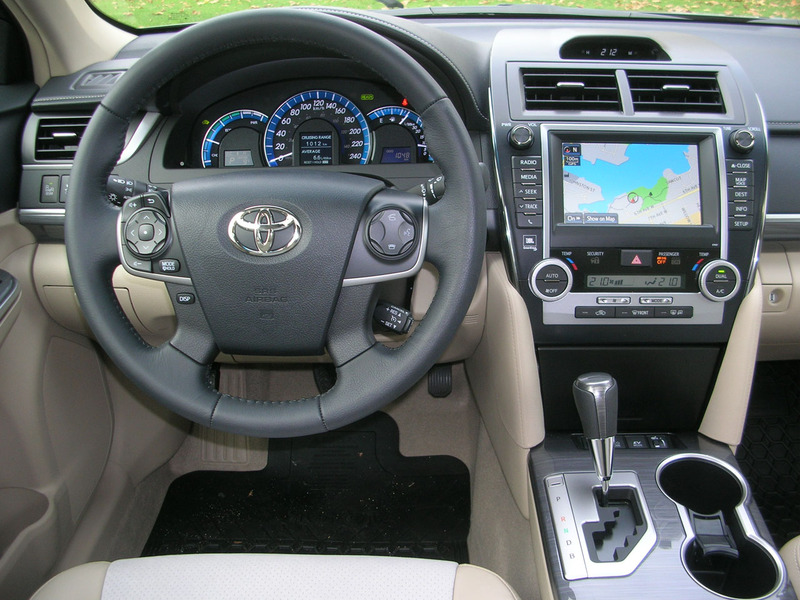 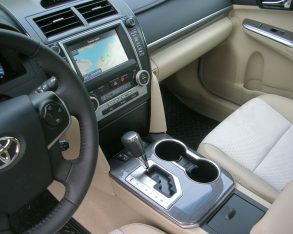 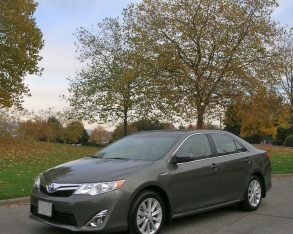 In terms of pricing and features, the base Camry LE Hybrid starts at $29,380 including the $1,620 destination fee and comes well equipped with dual zone climate control, power locks and windows, smart key system with keyless entry and pushbutton start, backup camera, a 12-volt outlet, a well-featured six-speaker audio system with USB input, Bluetooth compatibility, tilt and telescoping steering, and plenty more. 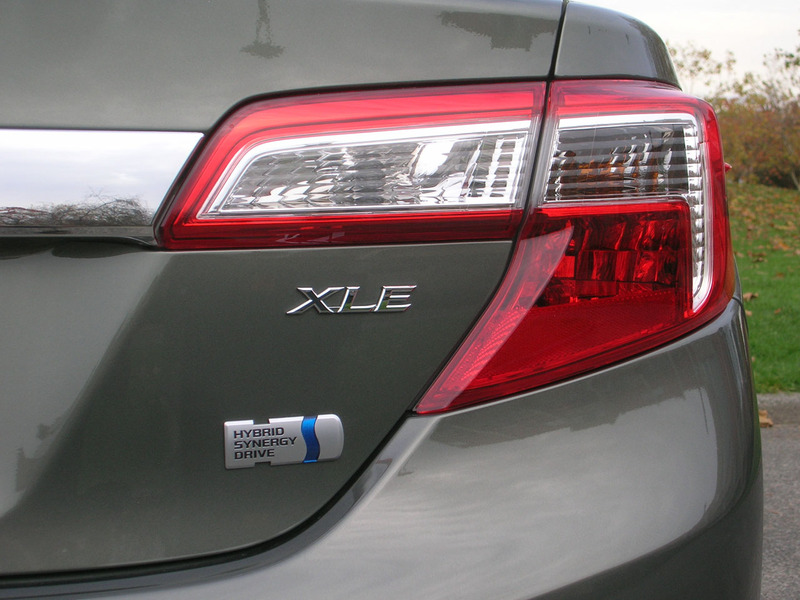 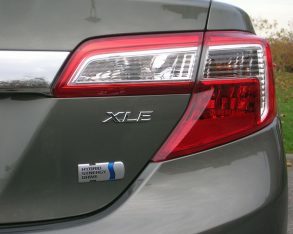 XLE Hybrid starts at $31,235 destination in, and ups the ante with features including power seats, a leather-wrapped steering wheel and shift knob, an auto-dimming rearview mirror with compass, 17-inch alloy wheels (the LE gets 16-inch steel wheels) and fog lights. 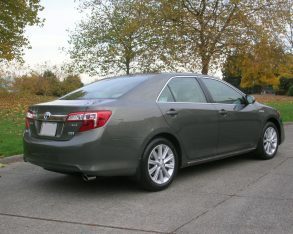 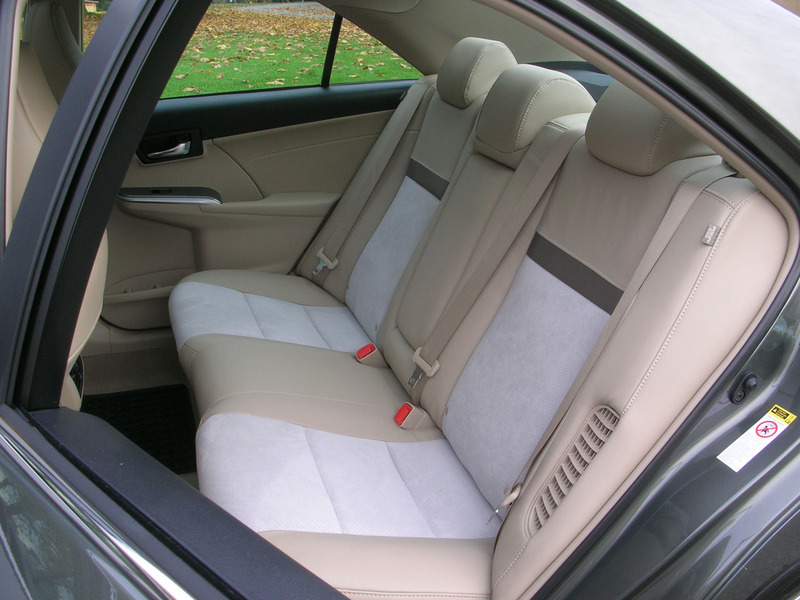 My test car was also equipped with a $6,085 Leather and Premium Audio package, for an as-tested price of $37,320 destination in. 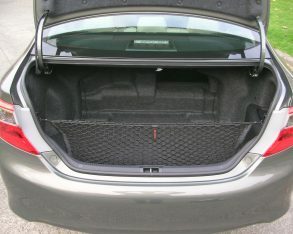 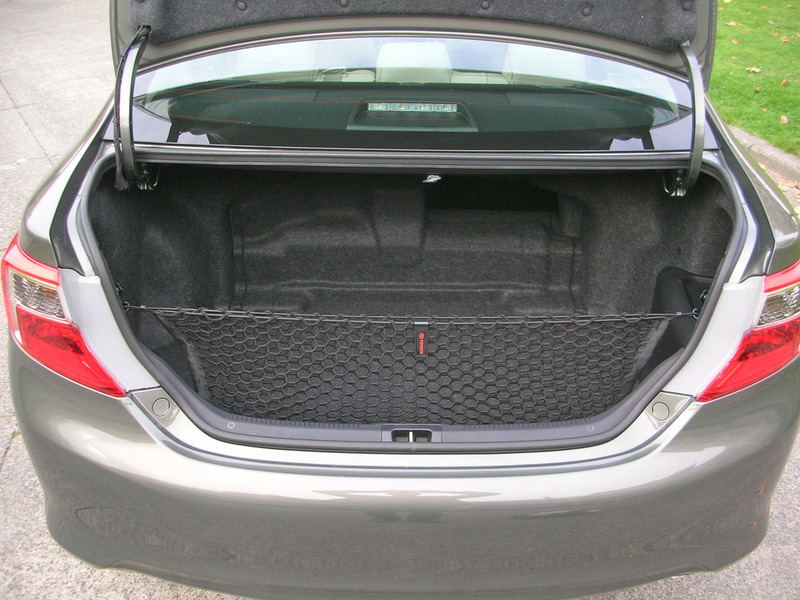 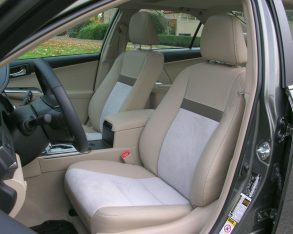 Included in the package are the previously-mentioned tri-colour leather and pseudo-suede upholstery, heated front seats, 10-speaker JBL audio, a seven-inch infotainment monitor, navigation, a garage door opener, a power moonroof, blind spot monitoring, rear cross traffic alert, and a few other features. 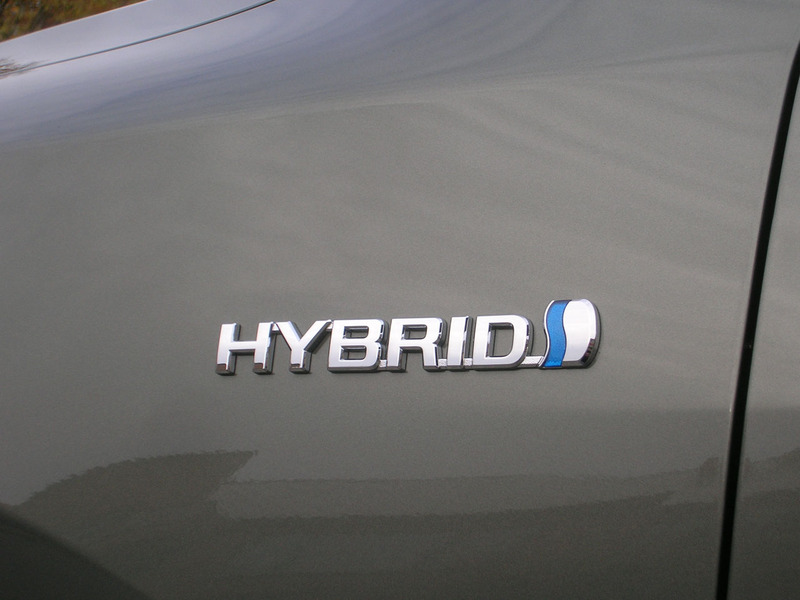 a commendable driving experience and great value, and even in Hybrid format, loaded with all the goodies, it still comes priced within the affordable range for most family budgets, putting efficient and surprisingly luxurious motoring within achievable reach. 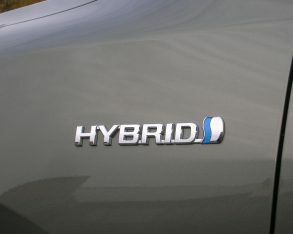 The Camry Hybrid doesn’t exist alone in its segment, with the Ford Fusion Hybrid, new Honda Accord Hybrid, Hyundai Sonata Hybrid and Kia Optima Hybrid all offering strong competition. 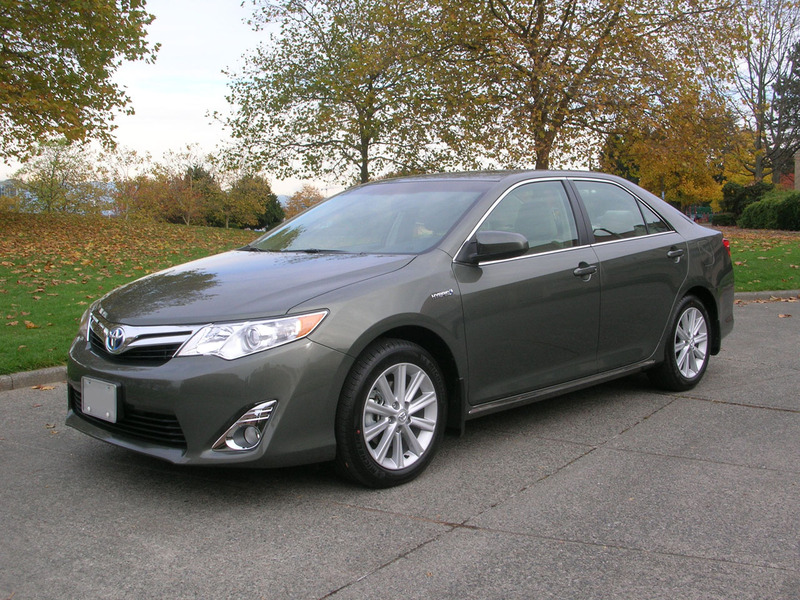 But no matter how you measure things, the Camry Hybrid is sure to be a top contender in any well-considered comparison, and that makes it a must-see for those in the market for a mid-size hybrid sedan.